The finale of Aniki season 3 finally arrives with the last episode of Eve no Jikan. 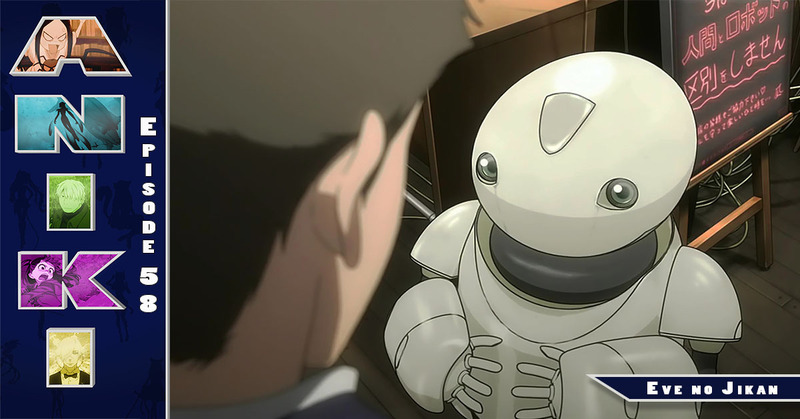 Misaki’s lack of chill is revealed as stemming from a fractured relationship with his dad and his boyhood robot. The magic of the café takes shape in the thrilling conclusion to this cute robot anime. Also featuring: Hallmark Christmas movies, how not to rank Ghibli movies, and the Battle Angel Alita movie.